THE SANTANA: DE CORAZÓN SPECIAL WILL AIR TONIGHT, APRIL 21ST AT 9:30 P.M. ET/8:30 P.M. CT, EXCLUSIVELY ON HBO LATINO. Home Alegria Life	THE SANTANA: DE CORAZÓN SPECIAL WILL AIR TONIGHT, APRIL 21ST AT 9:30 P.M. ET/8:30 P.M. CT, EXCLUSIVELY ON HBO LATINO. APRIL 21ST AT 9:30 P.M. ET/8:30 P.M. CT, EXCLUSIVELY ON HBO LATINO. (New York, NY) – April 21, 2014 HBO Latino joins in celebrating the legendary career of 10-time Grammy award winner, international music icon and philanthropist Carlos Santana and his forthcoming first-ever Latin music album entitled Corazón, through a two part event: a special called Santana: De Corazón and the airing of his mega concert and documentary Santana-Corazón: Live From Mexico, Live It To Believe It. The Santana: De Corazón special will air in Spanish with English subtitles on April 21st at 9:30 p.m. ET/8:30 p.m. CT, exclusively on HBO Latino. The Santana-Corazón: Live from Mexico: Live It to Believe It concert and documentary will air exclusively in the U.S. on HBO Latino on May 3rd, at 8:00 p.m. ET/7:00 p.m. CT. It will also be simulcast in Latin America and the Caribbean. Cited by Rolling Stone as #15 on the magazine’s list of “100 Greatest Guitarists of All Time,” Santana will delight Hispanic and mainstream audiences in HBO Latino’s airing of the once-in-a-lifetime tribute concert that took place at a sold out Arena VFG in Guadalajara, Mexico this past December. 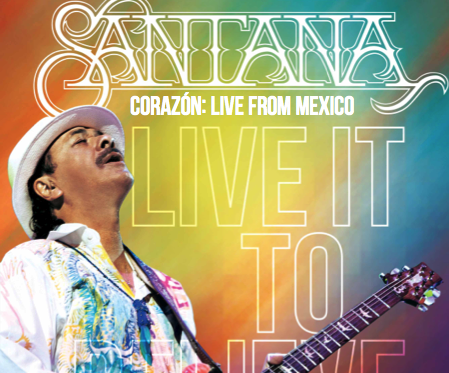 Santana-Corazón: Live from Mexico: Live It to Believe It presented a star-studded concert to music lovers who enjoyed Santana’s electrifying sound, along with performances by musicians and friends. 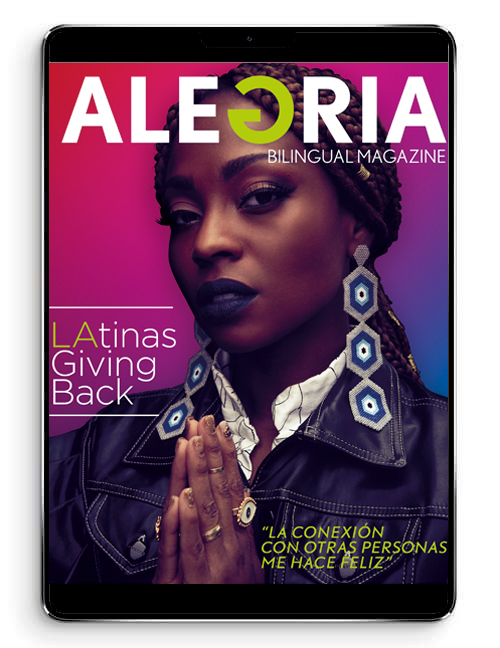 Elan Atias, Chocquibtown, Cindy Blackman Santana, Lila Downs, Gloria Estefan, Juanes, Miguel, Fher Olvera of Maná, Niña Pastori, Salvador Santana, Samuel Rosa of Skank, Romeo Santos, Soledad and Diego Torres. These internationally known artists accompanied Santana during his performance, most of whose collaborations have been recorded on Santana’s first ever Latin Music album entitled Corazón, set for release May 6th, on RCA/Sony Latin Iberia. The Santana: De Corazón half-hour special spotlights the iconic Mexican-American artist through a collection of interviews by his musical peers, fellow Santana-Corazón: Live from Mexico: Live It to Believe It concert performers, mixed with touching insights from members of his most intimate circles. Corazón, the concert and album project brings Carlos back to Guadalajara near his birthplace, and celebrates Carlos’ love of his musical heritage, as well as showcases Carlos’ own personal influence on Latin music and on today’s generation of Latin superstars. Many genres of Latin music are represented in these collaborations including pop, rock, salsa, hip-hop, R&B, reggae, and more. HBO Latino is included with an HBO subscription.